A powerful network dedicated to your success. As one of the industry’s leading suppliers of rolling bearing solutions, we view our customers as partners with whom we work on a global level. Perhaps you have a question, or maybe you are facing a challenging project? Then it’s time to get in touch with your local Schaeffler representative - your sales engineer. If necessary, s/he can call upon an engineer from the Schaeffler Technology Center for assistance. Together, they can perform a wide range of tasks, such as carrying out complex calculations or providing mounting services. 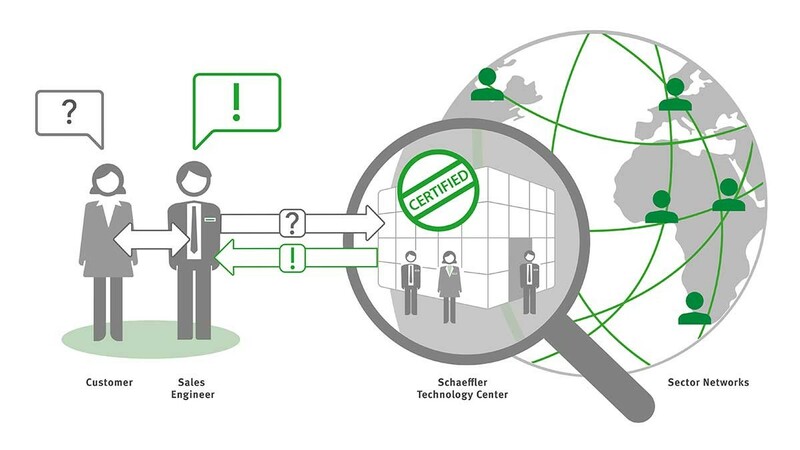 If your project requires it, our global network of experts gets involved: now your task is being worked on by Schaeffler experts around the world. The right solution, developed through the collaborative efforts of our vast knowledge network, is then presented to you by your local sales engineer. Access to our complete range of products and services with the added benefit of our comprehensive, globally networked Schaeffler expertise. 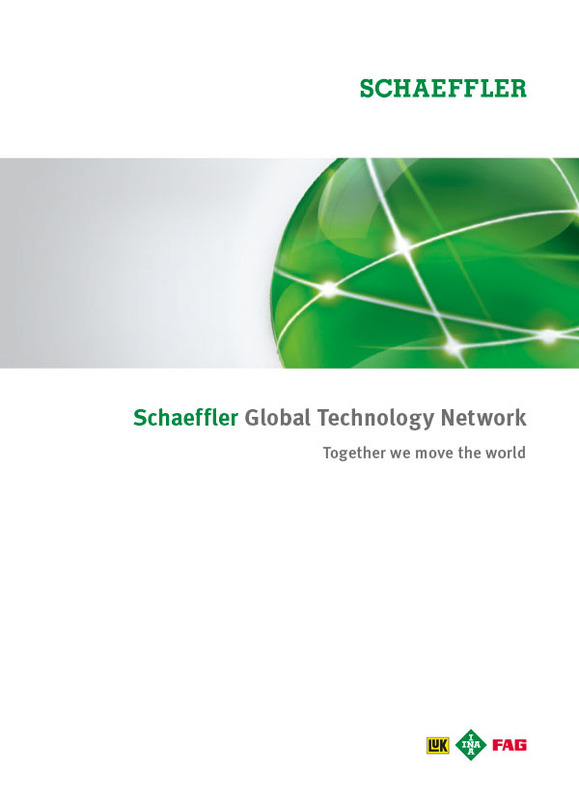 With our Global Technology Network, Schaeffler provides intelligent, customized solutions to all of your technical challenges. Schaeffler has supplied a special purpose induction heating device for large workpieces to TAKRAF GmbH, a manufacturer of bucket wheel excavators, stackers, crushers and conveyors for mining applications. The HEATER5000 has cut the heating time for a medium-weight two tons gear from six hours to just 20 minutes.